September feels good so far with mild weather, great sunshine and blue skies. A few wet days but we won’t talk about them ! A new colour has been added to the chalk paint palette: Giverny. 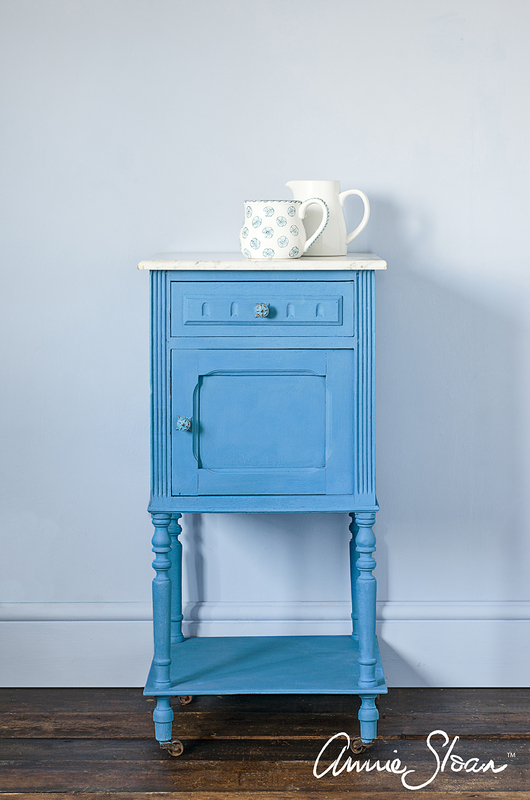 Annie Sloan named this cool bright blue after the village in Normandy that was home to the impressionist painter Claude Monet. Giverny has a very contemporary look especially combined with Pure or Barcelona Orange. Associate with Paloma or Emile and you will achieve a more vintage style. Get your brushes out and start painting. Colour is everything! Textile artist Daiva knows about art, colours and brush strokes too! 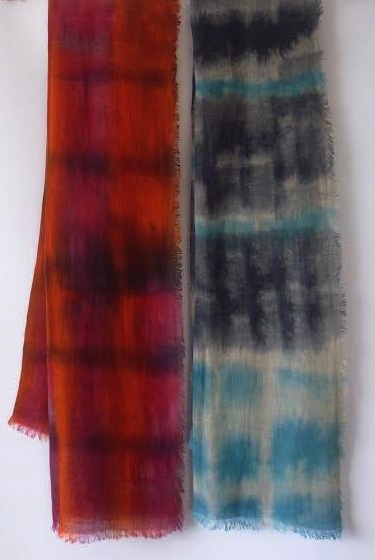 She handpaints her silk and linen scarves in her Limerick studio. Each scarf is unique in its design, making it quite special to wear or to offer as a gift to a loved one.